Mid-Century Modern: Are You Into It? Globe lights, big graphic windows, bright colors, vertical siding, small scale furniture, wood, geometric shapes, streamline/vintage chairs and sofas. All characteristics of Mid-Century Modern. It’s all the rage these days. 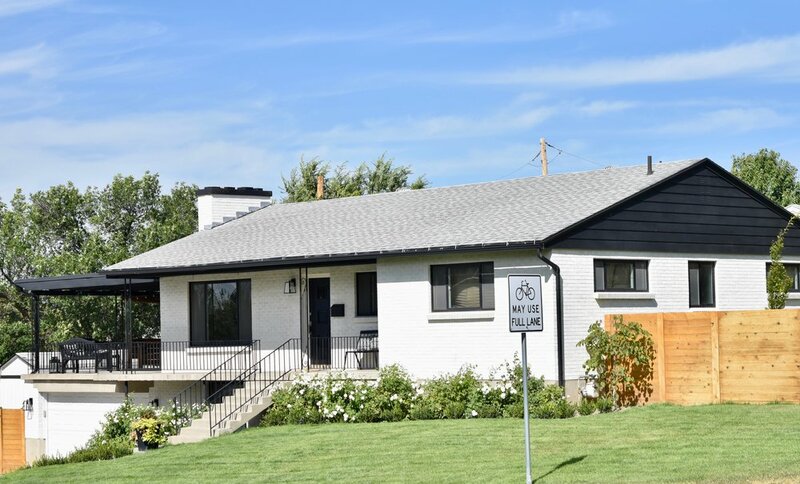 If you are really into this style and want to see some authentic mid-century architecture you should come to the suburbs of Salt Lake- specifically Holladay and East Millcreek. Practically the whole place was built in the 1950’s. Some of it is turning over but there are still a lot of buildings that look frozen in time. I snapped some shots of a few of my favorites. My elementary school built in this era. How about this wild office building close to my house in the heart of Holladay? It's for rent and it kinda makes me wish I had some hipster business that I could open up in there. This brand new house is for sale. 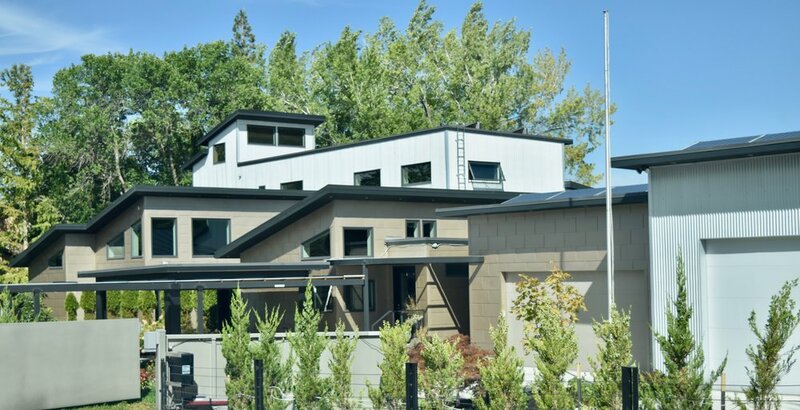 The Cove- a neighborhood up on the mountain is full of big old mid century houses that have stayed the same for 60+ years alongside some big new builds. Oh hello mid-century lamp post. Are you into Mid-Century architecture? As for me I’m on the fence. I really love interiors but the architecture can feel cold to me and yet I perk up when I see a mid-century house. I would LOVE to design a house fully committed to that style for someone else. But there’s no question there are some beauties out there. One thing I’m not on the fence about is mid-century furniture. My husband just scratches his head at some of the things I bring home from thrift stores and KSL classifieds (Craigslist for Utah). I admit I’m a little obsessed. The best part about turn of the century furniture is that it’s pretty easy to find because that generation is passing away right now- I’m sad to say. But their kids don’t see any use for grandma’s favorite chairs so they just sell them for $50 to get rid of them. Not everything in this style is old. Big box stores down to little specialty shops across the country are producing some really amazing pieces. Such as this West Elm side table and these Article chairs. A word of caution about mid-century furniture though. It was made for a time when houses were small so all of the real stuff is really tiny. If you are building a house with a huge great room or large spaces you’ll want to watch scale cause you might get it in there and wonder why it doesn’t look very good. That’s probably why- it’s too small. On the flip side if you live in a small living space or a house built in that era it will be perfect. My house was built in 1947 so lots of pieces really don’t fit. But mid-century furniture was (quite literally) made for my house. A major defining characteristic of mid-century that carries into the 60’s and 70’s is color. I found a house tour on Google Earth of a designer in the Netherlands. It was amazing and I can’t find it again so if anyone knows what it is?? Let me know! It is one of my favorite examples I’ve seen of design from that era. Specifically the amazing use of color. He takes some crazy color and makes it feel calm and effortless. Those kinds of colors in one house can go starburst/tacky REAL fast but this house doesn't feel that way at all. When I find it I’ll update my post!! Also flame birch. I want it. Trying to figure out how to make it happen in a bathroom in my next house. It has to be done right though or it can just look like dressed up plywood. No good. 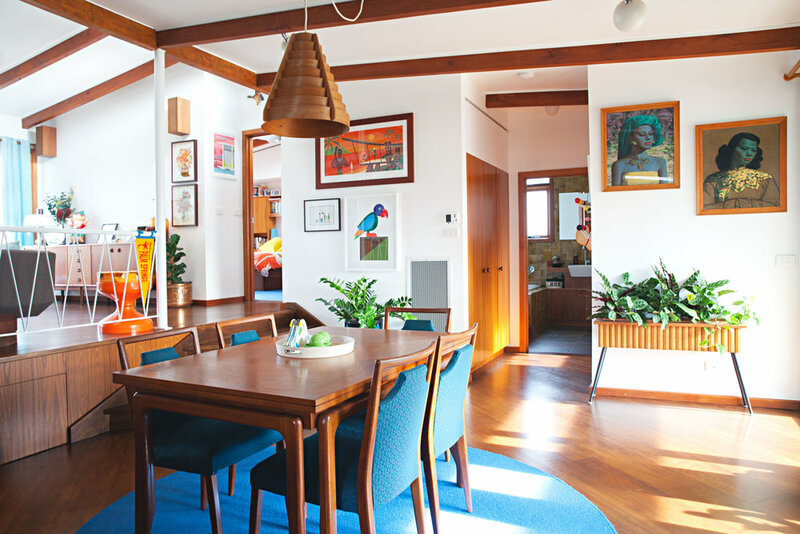 Another house tour that I think is pretty awesome: Mid-Century House in Beaumaris, Australia. What do you think? Are you ready to build your mid-century dream house?